Windows XP originally came out in 2001 and it has been one of my favorite operating systems. While there have been newer versions of Windows since then (Vista, 7 and 8), many folks have been content to stick with XP. The time has come though to let XP go and move on to a newer operating system. 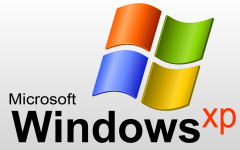 After April 8, 2014, Microsoft will no longer be offering security updates or support for Windows XP. This means if any vulnerabilities are found after that time, they will not be fixed and your system will be at risk. So what should you do? Continue running XP and see what happens? That’s probably not a good idea. First, you need to determine if your system is capable of running one of the newer operating systems. The minimum requirements for Windows 7 and 8 are about the same: 1ghz processor, 1gb RAM and 16GB free hard drive space. Ideally you will want a little more than those basic specs if you want things to run smoothly. Microsoft has free utilities you can run to see if your system is ready for a newer operating system. If you do want to upgrade, I would recommend going with Windows 7 rather than Windows 8. The user interface for Windows 8 is drastically different than previous versions of Windows including Windows XP. Windows 7 is almost impossible to find in stores so you’ll have to order it online. Here are some links to order if you are interested. Please note that you will need to backup your data before you upgrade as it will wipe your hard drive when installing Windows 7. This is my preferred method as you get to start fresh and choose the programs you want to put back on there. Microsoft recommends using the Windows Easy Transfer to copy your various files and settings to an external drive. You can download it for free from Microsoft. If your system isn’t capable of supporting a newer version of Windows or you just don’t want to spend the money, there are other alternatives. You’d probably be fairly safe unplugging the computer from the internet and just using it as a word processor or light gaming computer for the kids. You could also explore non-Windows operating systems like Linux. There are numerous Linux flavors out there, but the most popular one seems to be Ubuntu. I actually prefer one of its sibling called Lubuntu which works better/faster on older hardware. You can burn that to a CD or USB flash drive and try it out before you install it to the hard drive. Do you have a computer running Windows XP? What are your plans for it? Post your answers in the comment section below.